�����Oh, the weather outside is frightful, but the coin market is not so delightful; as we approach the Holidays, the market has not heated up, albeit typical for this time of year. Gold has been falling, currently at $1,137 this morning, Silver is trying to hold above the $16 mark, but has fallen to $15.94, and Platinum is at $913. 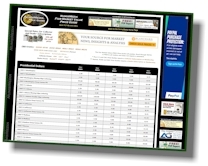 The premium is strong for one ounce Proof Gold Eagles in OGP, trading at $1,387 among dealers. Silver Eagles are the gift of choice for the Holidays remaining steady at $49-$50. Silver bags of 90% are dropping to $12,045 among dealers and VG+ Silver Dollars are $23,665 per bag of a thousand. Some analysts are expecting the metals to go even lower in the next couple of months. No predictions here as we are waiting to see what happens at FUN. �����There may be a lot of bargain-hunting going on in the wholesale market but that does not mean real buyers are not looking for rarities. The latest Legend Rare Coin Auctions, Regency Auction XIX, took place in Las Vegas at the PCGS Members Only show last week. 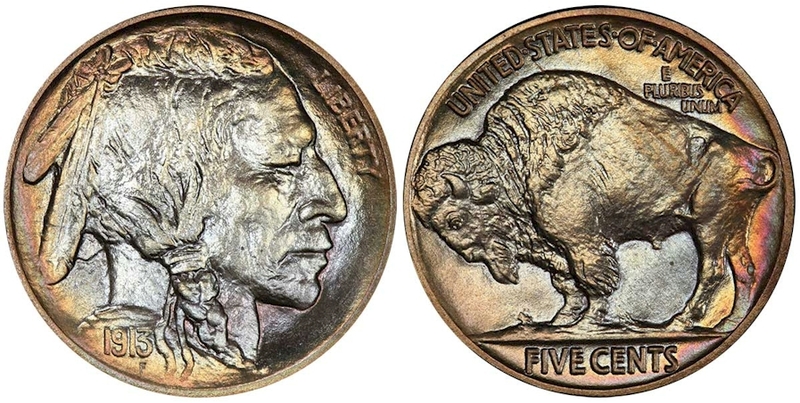 One of the many highlights of this important sale was a set of Buffalo Nickels; many finest knowns and some with spectacular color. Nearly every coin in this set brought a substantial premium above the NumisMedia Market price. Listed below are some other highlights. �����The results from the Legend Auction show that there is plenty of money being spent on rare coins if the quality warrants. However, there are still plenty of nice coins that are being offered at discounts as dealers are raising cash reserves for the upcoming FUN Show. 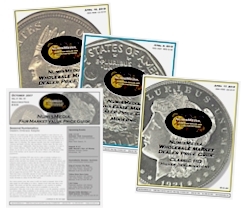 In this week�s HD Wholesale Market Dealer Price Guide there is a long list of declining prices for Proof Barber Halves as sellers are attempting to move some inventory. Many of the lower prices are within the PR63 through PR67 grades, although there are buyers at the lower levels which could be a sign that we are nearing the bottom of the current downturn. 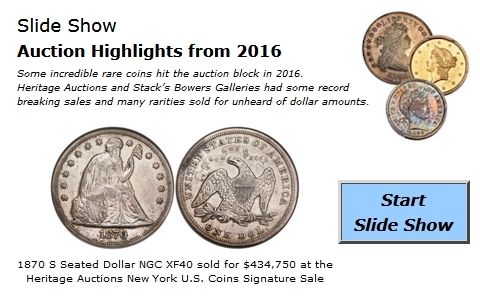 �����Sellers are currently outnumbering buyers in the Morgan Dollar market and there are decreasing prices in all grades from AU50 to MS66. Dealers are looking to move old inventory while buyers are being rather selective and want brilliant coins at their buy prices.